Aldnoah.Zero is certainly true to itself, right to the end. Continue Reading "ALDNOAH.ZERO – 23"
Does it still count as being NTR’d when the guy deserves it this much? Continue Reading "ALDNOAH.ZERO – 22"
This is starting to smell quite strongly of a tragic ending, at least for the principal characters. Continue Reading "ALDNOAH.ZERO – 21"
Oh, this is one hell of a mess we have building up here. Continue Reading "ALDNOAH.ZERO – 20"
The arrow is loosed, in more ways than one. Continue Reading "ALDNOAH.ZERO – 19"
Aldnoah.Zero is predictable, but it’s predictably unpredictable too. Continue Reading "ALDNOAH.ZERO – 18"
Aldnoah.Zero continues to be the same combo platter of reward and frustration it’s been (almost) all along, but the overall result is still pretty entertaining. Continue Reading "ALDNOAH.ZERO – 17"
There’s only one pairing in this series that matters, and I think we all know what it is. 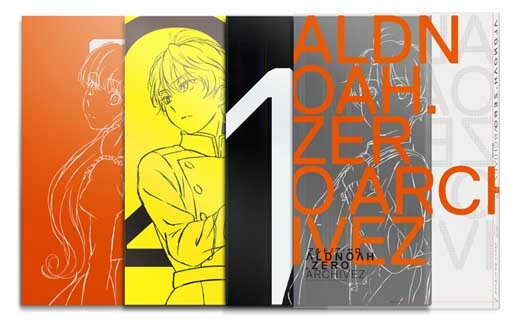 Continue Reading "ALDNOAH.ZERO – 14"
Continue Reading "ALDNOAH.ZERO – 13"
Continue Reading "ALDNOAH.ZERO – 12"
Coinciding with the second to last episode of ALDNOAH.ZERO, I bring to you the ALDNOAH ARCHIVEZ. Continue Reading "Behind the ALDNOAH.ZERO ARCHIVEZ"
That was one of the most ridiculous things I’ve ever seen. And I watch anime! Continue Reading "ALDNOAH.ZERO – 11"